The Short Version: Launched in 2015, 2Seniors.co.uk supports a growing online community of senior daters in France, the UK, Belgium, and the US. You can sign up to the site for free and start sending winks or messages to anyone you want to get to know better. The niche dating platform facilitates conversation and connection with simple search features, 100% free messaging, and a moderated discussion forum. Not sure how to proceed? You can find helpful and targeted advice articles in the 2Seniors blog section. Every feature on 2Seniors.co.uk encourages singles over 50 to get out there and build friendships and romantic relationships in a safe online space. What inspired a French man to create 2Seniors.co.uk, a dating site for singles over 50, was his heartfelt desire to see his divorced parents find love and happiness. He saw his parents struggling to adapt to the modern dating world and meet new people, so he decided to help them, and thousands of others like them, by building a safe and mature online dating space. He launched the site in France in 2015 and has since expanded into Belgium, the US, and the UK. Today, 2Seniors.co.uk has come to the aid of countless men and women of a certain age. The niche online community fosters authentic interactions between mature singles living around the world. Built to last, 2Seniors.co.uk is a straightforward dating platform for singles of a certain age. The 2Seniors team is actively involved in users’ online experience and goes to great lengths to set them up for success. On the blog, you’ll find practical dating advice from seasoned experts who understand the unique concerns of seniors. You can learn the ropes of the modern dating scene by perusing these informative and encouraging articles. Registering for 2Seniors.co.uk is 100% free and takes less than a minute. You’ll need to give your first name, location, birthdate, and email address, and then you’ll write a personal ad (minimum 35 words) that will appear on your profile. The site’s administrators warn users not to post contact information in this space. Lastly, you’ll upload a picture of yourself (this is optional but highly encouraged) and start your membership. Some seniors may have reservations about giving out their information online, but 2Seniors does everything possible to put people at ease and give them a wonderfully positive experience. The website’s team takes several precautions to keep scammers, hackers, and harassers at bay. Once the team validates your profile, you can send messages to thousands of members online for free. On Seniors2.co.uk, making a new friend is as easy as sending a message. The site recommends certain people to talk to (in the Matches section), but you can also conduct your own searches by basic dating criteria, including location, gender, appearance, profession, and age. You can also search by username if you want to reconnect with someone specific. Tip: By adding a profile to your Favorites list, you can find them again much faster. 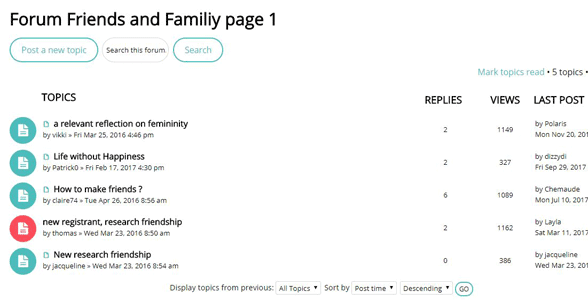 Both men and women will show up in your search results (unless you specify the gender you’re looking for) because 2Seniors aims to help users improve their social lives as well as their love lives. You can make friends or arrange dates with whomever you like on the site. Once their profiles have been verified (typically 24 hours after signup), free members can send winks or messages to show interest in another member. You can also write a post in the 2Seniors forum, a discussion board where members go to ask questions, tell stories, and build online relationships through open conversation. A moderator reviews and approves all messages before they show up in the forums, so you won’t see any spam messages or crass language here. The topics up for discussion include friends and family, partnership and love, hobbies and interests, health, and humour and games. Most of the posts revolve around how to make friends or find dates as a senior man or woman. In an active discussion forum, 2Seniors members share their thoughts on a variety of everyday topics. The support of the 2Seniors community can boost the spirits of members who are seeking connections and worrying that their time has passed. A man’s concern for his parents led to the launch of 2Seniors.co.uk, and that compassion has driven the exponential growth of the site over the past couple years. The international platform has given a helping hand to thousands of divorcees, widows, and other senior singles in Europe and the US. 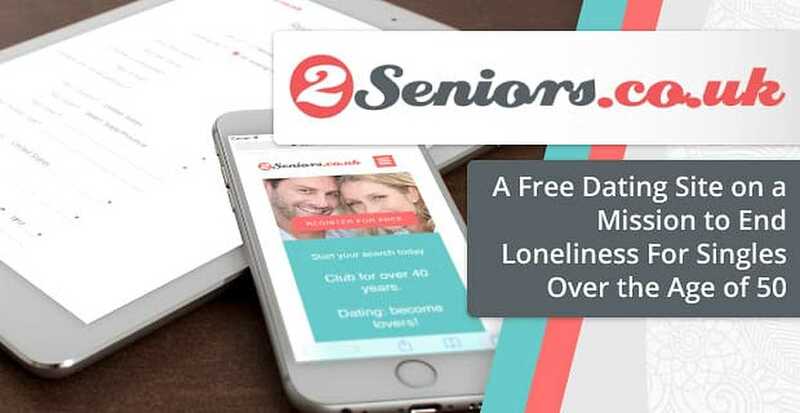 Whether you want to conduct a simple search for a love interest or ask a question in a friendly discussion forum, 2Seniors offers safe and user-friendly tools to get you making new friends in no time at all. Many singles have come to 2Seniors feeling lonely and come away reinvigorated by the online dating scene. The site’s low-pressure environment helps seniors feel comfortable starting conversations and building relationships online.